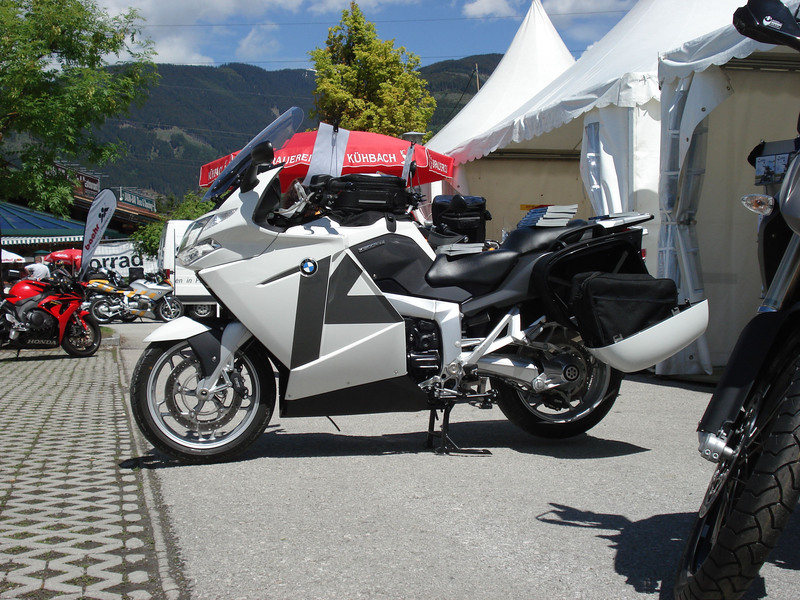 The BMW K1200GT conversion from Motorcycle Accessory Hornig GmbH was presented for the first time at the BMW Motorcycle Mountain Days in Kaprun, Austria and the visitors loved it. 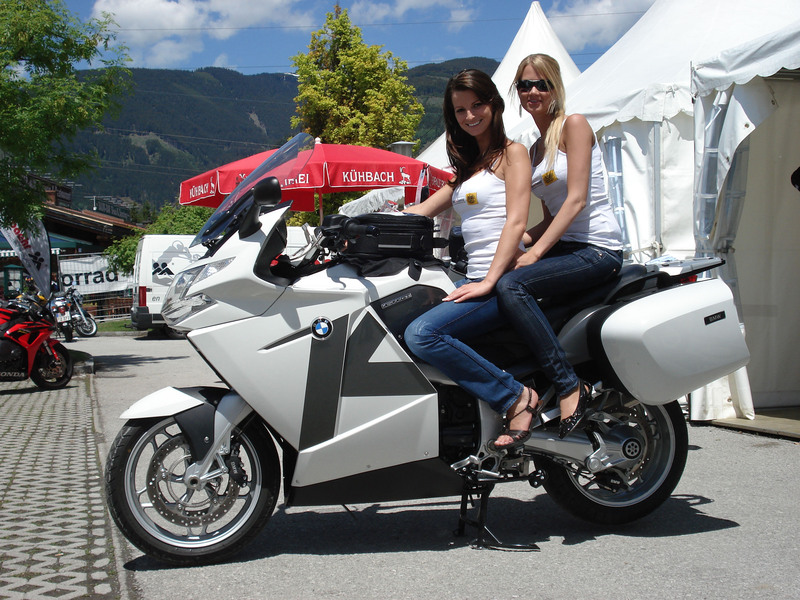 The BMW deluxe Tourer is already a very good motorbike but Hornig tried to design it unique and to improve its touring and comfort qualities as well as individualizing it for the driver. 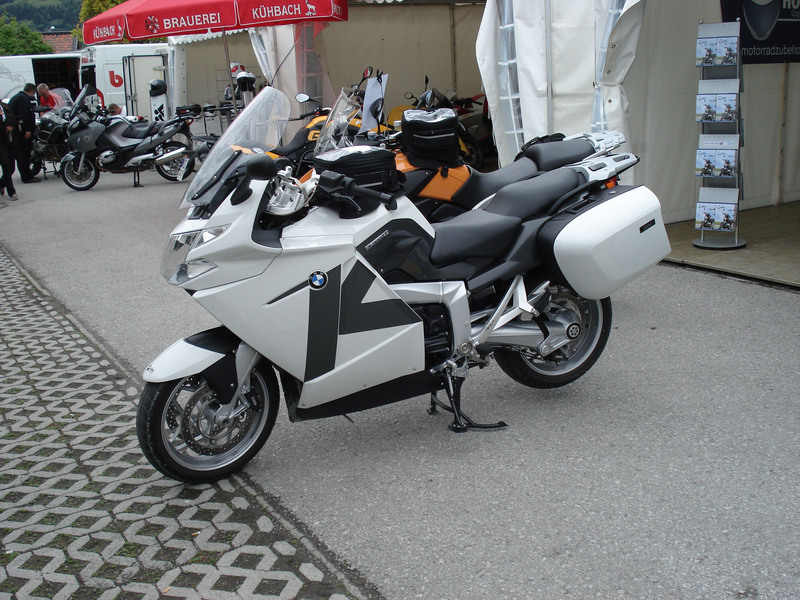 In order to improve its touring qualities the seats were equipped with a fluting to release the tailbone. The seats were also broadened for about 15mm. Here, the seat was increased in the middle front part to inhibit a cramped position. These alterations care for a tangible comfortable riding - free from pain. Also the vexatious sliding when the driver brakes has an end now. The seats are slippage related material. Not only the seat ensures more driving pleasure but also the new V-Stream Windscreen with its 64cm height and 60cm width, which protects the driver very good from the wind. Ultimate perfection of the Tourer ensures the waterproof bags for the side cases which fit perfect to the shape of the original side cases with an extra space for documents and small things with a shoulder strap for easy packing and unpacking. In combination with the 23-liter waterproof tank bag it is no problem to take everything with you for a great trip. 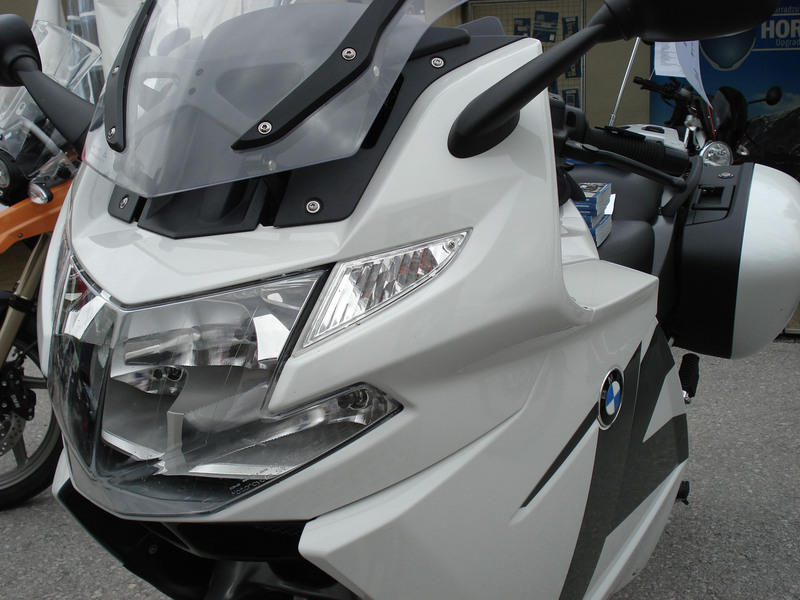 Because of the GPS mounting behind the handlebar it no problem to have a very good view on it also when you use a big tank bag and it won’t take a long time to view back to the road. 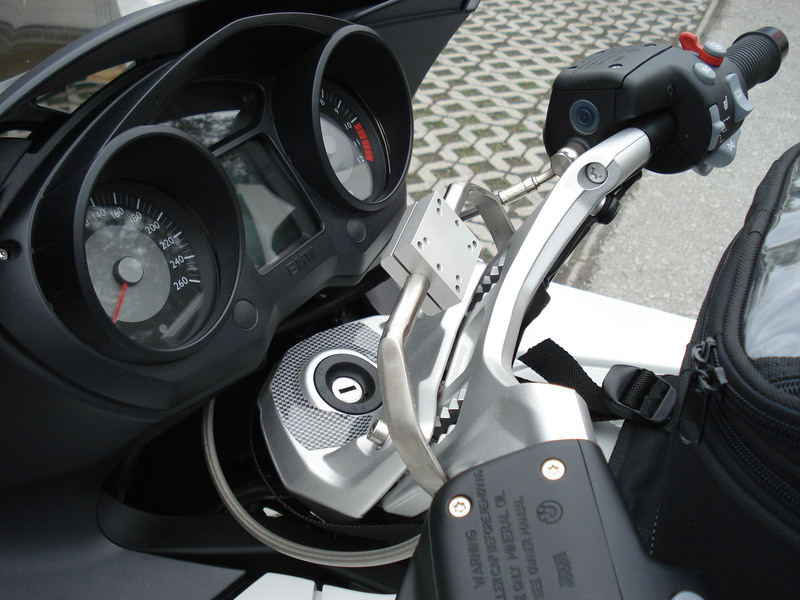 Even more comfort provide the brake- and shift lever enlarger together with the higher sidestand foot enlargement which makes the much easier to bring the fully loaded bike from the side stand into driving position. 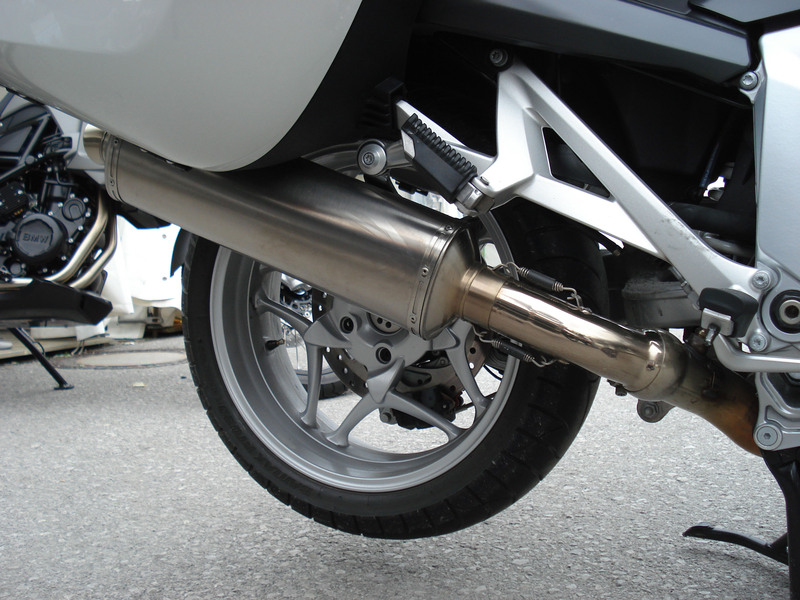 A Remus Revolution Titan exhaust arranges for the more power and the correct sound which is necessary for such a bike.